"If there is such a thing as a fate worse than death Joe Tree found it. Sentenced to the hell of Florida's state prison for a murder he didn't commit with the wife he worships cheering on the prosecution and then deserting him to marry the man who sent him up. His long-coveted freedom day only brings more heartbreak when he returns to Tampa Bay after surviving twelve years on the concrete. The gold he stashed to finance a fresh start has disappeared the friend he trusted it to is long dead the answers buried beneath the dirty secrets of a onetime rival's success and the truth of why an old acquaintance who married a fortune needs Joe dead or back in prison to keep it. When Joe crosses paths with a soured cop hungering for an opportunity to muscle in on a lucrative blackmail racket -- if he can find a suitable lowlife to frame for the killings -- the bodies start falling. 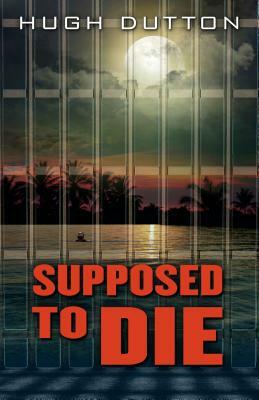 A prime murder suspect once again Joe's sole hope of avoiding a return to prison lies in smoking out the real killer. As each layer of deceit he scrapes away reveals more of the treachery that stole his life his hunt for his gold becomes a quest for vindication. But to get his shot at that bittersweet justice he must gamble everything -- the gold his freedom and ultimately his life -- on the heart of a beautiful attorney who just may be playing for the other side.